Coulter says she doesn’t think of herself as smarter than Trump (or anyone else), yet she relishes being regarded as Trump’s brain. Go figure. 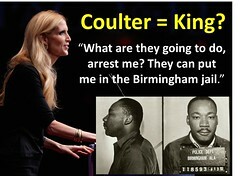 Coulter then absurdly averred, “I don’t evaluate people that way.” But she does that all the time. Even at the “Ann Coulter Roast with Rob Lowe,” Coulter claimed to have the very best jokes. 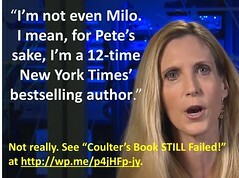 Coulter seems to see herself as the smartest person in the world. Everyone else fits on a scale from dumb to imbecilic. Calling someone “stupid” is one of her most used attacks. But Coulter has always felt superior to most people, even to her peers and her colleagues (see Chapter 4, “Brains”, in The Beauty of Conservatism). 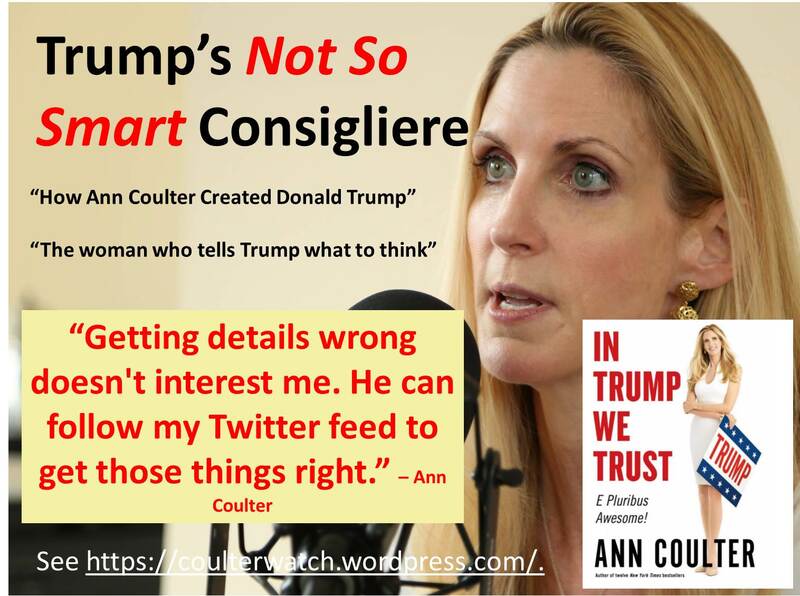 A recent Coulter profile explained “How Ann Coulter Created Donald Trump.” If Coulter’s “The woman who tells Donald Trump what to think,” how could she not be smarter? She just won’t admit it publicly. Perhaps she fears angering Trump again.